Draw the congregation into the spiritual experience of the Days of Awe with a print product that lets everyone know when and where they can daven on Rosh Hashana and Yom Kippur. 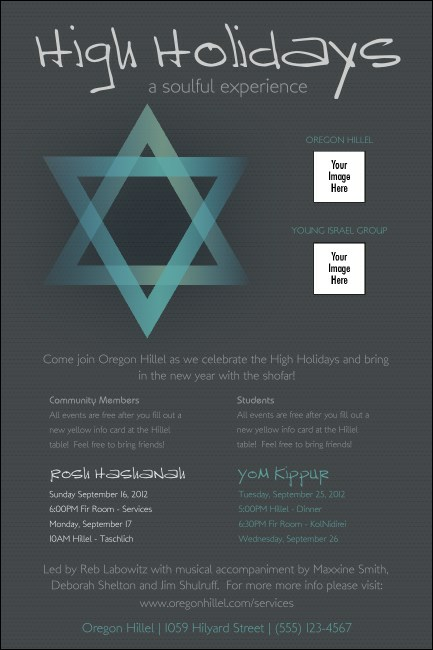 This High Holidays Poster allows you to customize the Magen David design with two images uploaded right from your hard drive. You're the star at TicketPrinting.com.